How to defend yourself against deceptive door-knockers. We recognize that not all “door knockers” are bad. In fact, you may have joined the ADT Canada family after having met with one of our ADT door-to-door sales representatives or ADT Authorized Dealers. It’s unfortunate but we hear from our customers that dishonest companies employ deceptive sales practices to attempt to lure you away from, or cancel, your ADT security. So, we’ve put together this guide to make sure you are fully prepared when approached by a door-to-door salesperson selling home security. 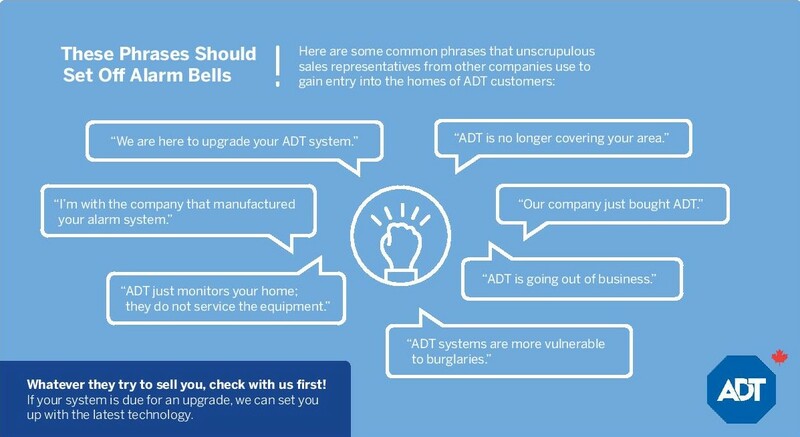 When in doubt whether ADT or an ADT Authorized Dealer was sent to upgrade or test your system, call 888.ADT.ASAP before you let them in your home. CLAIM: Your monitoring and customer care are being done from the US. REALITY: Not true! ADT Canada is a part of your neighborhood. 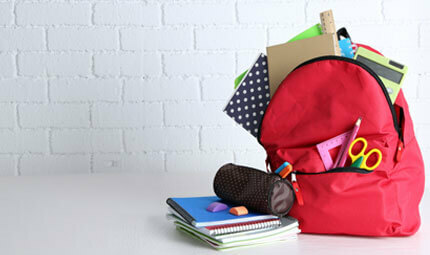 With more than 15 offices throughout Canada, we live and work in your community. We also have 4 monitoring stations located across Canada, providing bilingual support 24/7. CLAIM: Your security system is not being monitored. REALITY: ADT has live operators working 24/7 and Five-Diamond certification. CLAIM: They can help you "cancel" your services. REALITY: For security reasons, only you (the registered owner) can cancel your service with us, and this should be done by phone. On rushed installations, equipment may be installed improperly, which may impact how your system is monitored. Improper termination of your account could also leave you having to pay multiple monthly charges with contracts to two companies. The bottom line? Call tfn before you let a door-knocker in your home and certainly before signing any documents. CLAIM: Only they can upgrade your security system for a competitive price. REALITY: ADT Canada offers a full suite of interactive security products and services to suit all needs and budgets. Call us to learn more. We’re here for you! 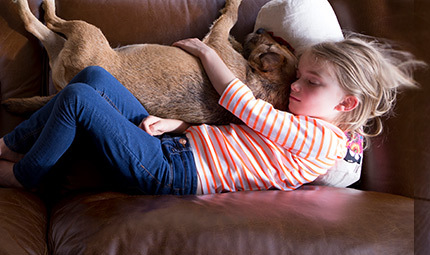 Call us at 888.ADT.ASAP.